Payday loans are one of the most popular ways to acquire easy loans. You can conveniently acquire a payday loan and pay the money back on your next paycheck. The requirements to get the loan are easy to surpass for many people. Most of us don’t questions why payday loans give easy money to almost anyone. We fail to realize that some companies and people aim at taking money from unsuspecting people using payday loans as a disguise. Payday scams are more common than you think and it can be hard to tell a trusted lender and a conman apart. Here is how you can avoid payday scams. Before applying to any payday loan sites, check for the licence. A legitimate payday loan company must comply with all legal laws concerning money lending. Payday sites with licences are good to borrow form because you can take legal actions in case any problems occur. Fraudulent payday loan lenders are unlicensed or operate outside your region to avoid any government regulations. This means when you borrow money from them, your services are not protected and they have power to apply their own laws. Do not provide your personal or confidential information. People attempting to scam you and steal your personal identity may be on the other end of the screen. Payday loans do not require more than age confirmation, income and an account to deposit your loans. Any site asking for more may just be a scam, with people waiting for information to use it for their benefits. Look out for hidden fees in the agreements. Before you take out a loan, you should learn the interest rates, loan expiry dates and consequences for late payment. Read and understand the terms of service even before creating an account. Hidden fees are applied to unsuspecting customers and they feed the interest of the lender. If the interest rates are two high, avoid taking the loan. Look for information on the company to see their track record and whether they have past violations. If they do, investigate on the information to check if it is reliable. Look at their ratings and reviews, you may find some important information about the company. Scammers disguised as payday lenders will ask for and advanced payment to cover registration and service costs. Remember, payday loans do not charge anything except for the interest on the loans. If you encounter such a situation, report the company immediately. Genuine payday lenders collect their money and interest upon the provided deadline. It is easy to deal with payday services. All you do is provide the required information and ask for a loan, you receive it almost immediately. However, there is a disadvantage to this; it is easy to deal with one on one communication so you can clearly understand the terms of the service. 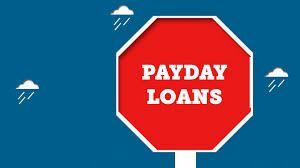 Opt for a payday loan service with contact information or physical locations where you can talk to a representative in person. Not all payday services are scams, but do not just borrow money anyhow. Make sure you follow these tips to escape any form of fraud.